EndNote is designed to work with Cite While You Write (CWYW), so why should you use a "formatted bibliography"? There are a few reasons why you might not want to bother with CWYW and use a formatted bibliography instead. or, you just like to try new things. It's a fast, easy, and almost foolproof! Follow these simple steps to set up your formatted bibliography. 1. 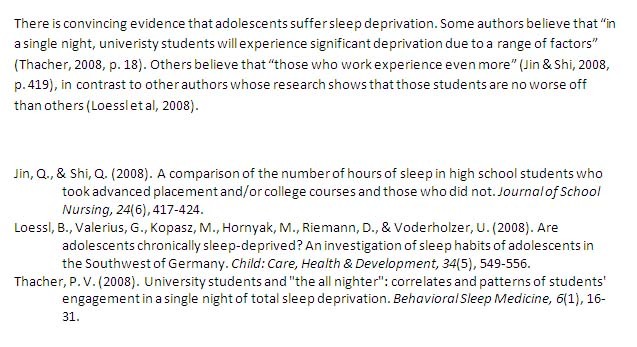 Write your essay/paper, and manually insert any in text citations (highlighted in grey below). 2. When you're finished writing, select the references you have used in your EndNote library. 3. Click on Edit, then Copy Formatted (CTRL-K). 4. Back in your essay, paste the bibliography at the end of the document. If you are going to use this, you may want to groups, setting up a Custom Group and as you use each reference, drag it into your custom group. That way, when you're finished, you can just select all the references in that group, and start the process from step 3.